See for yourself why parents and teachers across the world are using Chore Pad HD as their app of choice. 12 themes and over 120 icons to choose from or add your own! 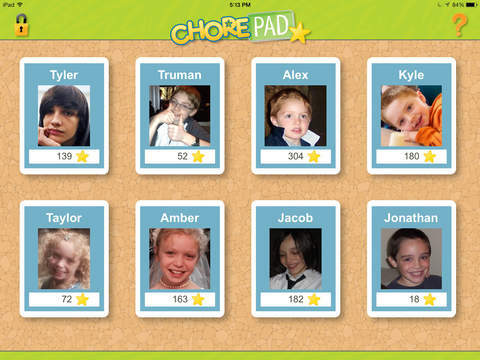 Chore Pad HD is a powerful, fun tool for motivating your kids to complete chores. Each child completes their assigned chores to earn stars which are redeemable for rewards that you create! Give bonus stars for a job well done or penalty stars to let your child know they should strive to do better. Chore Pad HD’s beautiful artwork is fully optimized for the iPad Retina Display. Check out Chore Pad on the iPhone and iPod touch for the same great features in a smaller form factor. Featured by Apple in over 100 countries. "Forget the chore wheel; this might be the most comprehensive chore-management tool out there. 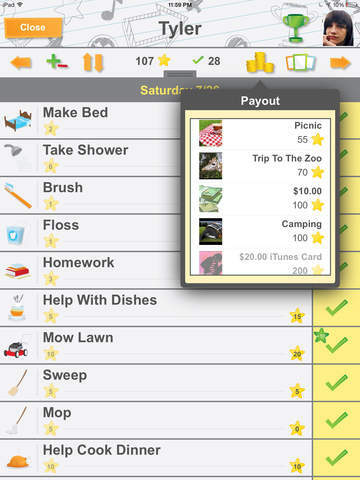 "Chore Pad HD is fantastic for helping organize the family chores around the house." 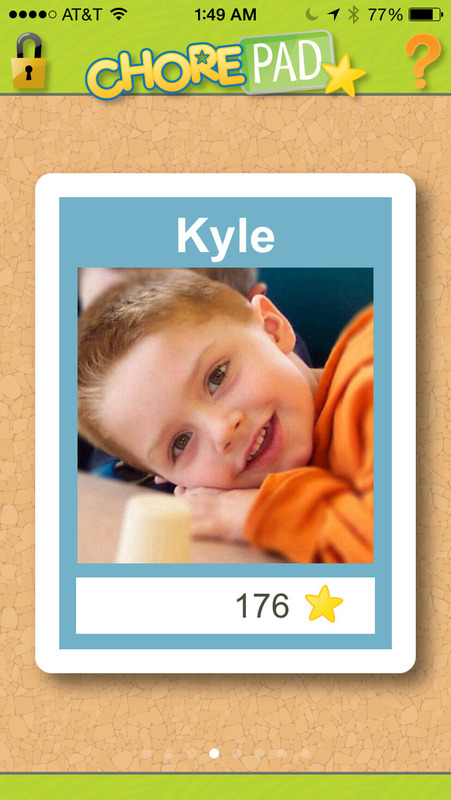 Each child has their own card showing their star and checkmark totals under their portrait. 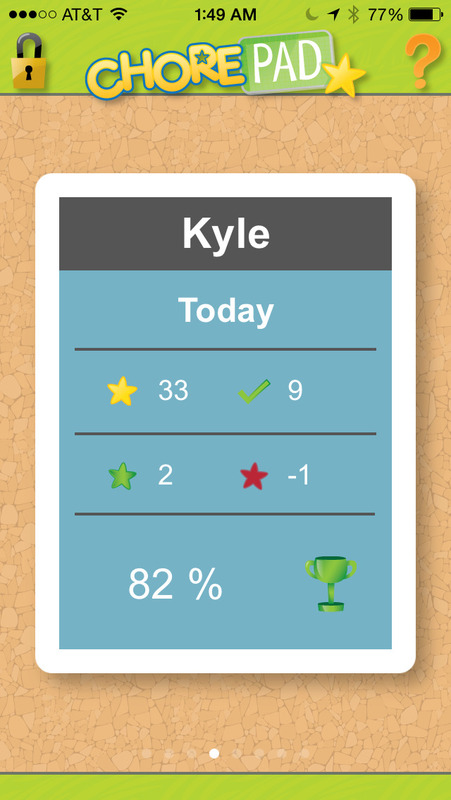 Tap a child’s card to show their Chore Chart, where chores are completed to earn stars. Give out bonus stars to acknowledge a job well done or penalty stars to show more effort may be needed. Flip cards over to show stats for today, this week, last week or two weeks ago. Parent Mode keeps Chore Pad kid-friendly by tucking the important setup features safely away. Use Parent Mode to configure users, chores, rewards, syncing, passcode protection and more! 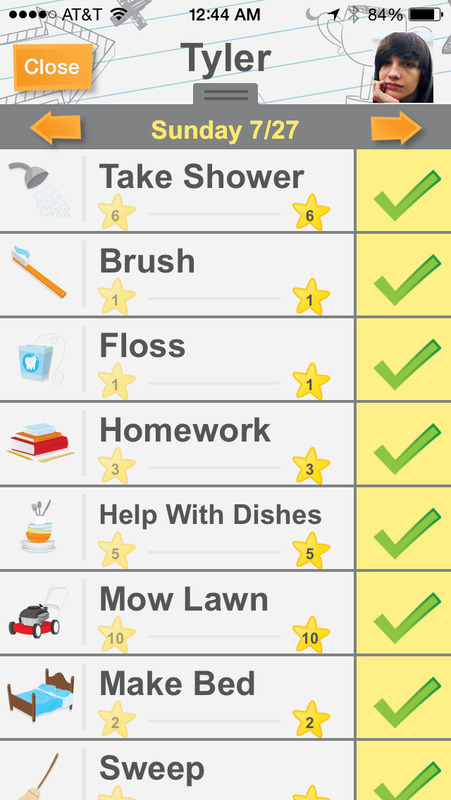 Your child earns stars as chores are completed, and uses those stars to redeem rewards that you’ve created! Watch happily as your child learns to save up their stars for long-term goals! Completing chores unlocks trophies over time, which are displayed on each child’s card and in their Chore Chart. A trophy shelf for each child displays their earned trophies! Each child can select their own theme for their Chore Chart, with nine currently available and more to come! Create template chores that can be copied to any number of children and customized individually for each. Specify a wide range of repeat intervals, star values and select from dozens of available chore icons. We’re here to help! Please don’t hesitate to contact us with any questions, comments or suggestions. Please don’t hesitate to contact us at [email protected] with any questions or comments. We’d love to hear from you!